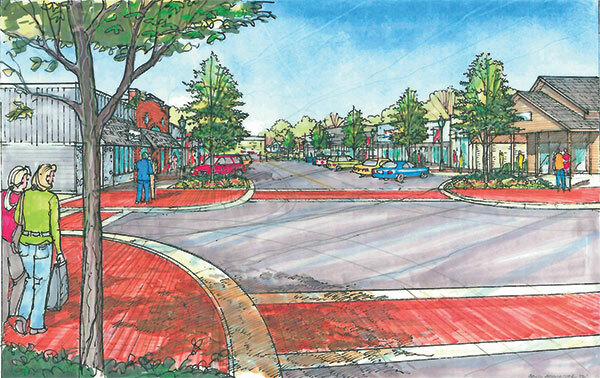 This drawing shows a more upscale version of the Village of Sand Lake streetscape project, which would not include as much red brick and the curbs would not jut out as far. This drawing is looking east from 5th Street (at the Park) toward Northland Drive. When the residents in the Village of Sand Lake head to the polls November 8, they will vote on a street improvement bond that would take effect in June, 2018. They are asking voters to approve a bond that would allow them to borrow up to $775,000 to pay the costs of designing, constructing, reconstructing, and paving streets, streetscape improvements, and costs of related improvements. According to Village President Roger Towsley, the bond would be used to pave Lake Street from Northland Drive to 5th Street. It would include new sidewalks, curb and gutter, and more decorative street lights. “The sidewalks will also be wider than they are now,” explained Towsley. “We want the sidewalk to be a connector between the White Pine Trail and Salisbury Park.” He said it would one to one-and-half feet wider, which would make parking a bit narrower, but not much. They may also install a bike path. The goal, he said, is to make it a more walkable community, which is something that the State of Michigan looks for when awarding grants for this type of project. The streetscape project would not have as much red brick as seen in the photo, nor would the curbs be bumped out as far. “We scaled it back a bit,” he said. The proposed millage of 3.8035 mills ($3.8035 for each $1,000 of taxable value) would generate the funds to pay for the project, along with a $352,950 grant from Grand Valley Metro Council. The engineer on the project is Fleis and VandenBrink. If it passes, the millage would not begin until the current 5 mills they are paying for a road pavement project in 2003 is completed. That will be paid off in June 2018. In addition, the road project plans for spring 2017 include the crush and reshaping of Lake Street from 5th to Ritchie Avenue. That project will be paid for with a $250,000 grant from the State of Michigan, and a $130,000 loan from the State Infrastructure Bank. That loan will be paid back over a period of 10 years using Act 51 revenue from the State of Michigan. 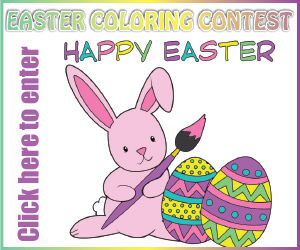 For more information, call the Village Office at (616) 636-8854 Monday through Thursday 9:30 a.m. to 2:30 p.m.